Brandy Borne and her drama-queen mom, Vivian, take their antiques show on the road, for an off-Broadway farce mixing mirth and murder. 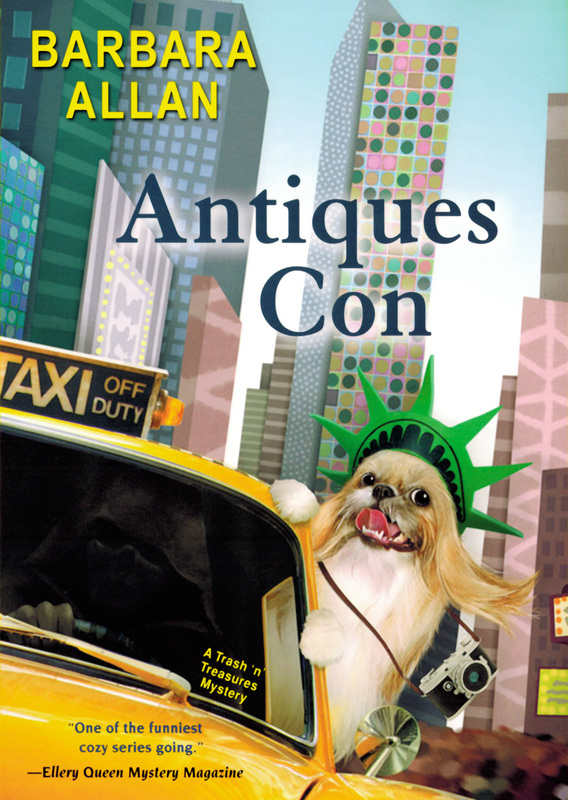 A world away from small-town Serenity, the ditsy duo—chaperoned by their trusty shih tzu, Sushi—arrive in the Big Apple, blissfully unaware that they will soon cross paths with a rotten-to-the-core killer. As the dynamic dames descend upon a comic-book convention—to sell a rare 1940s Superman drawing—Vivian makes a show of keeping the valuable sketch locked to her wrist in a briefcase. When an intruder breaks into their hotel suite, they naturally suspect a felonious fan, over-eager to acquire their artwork.